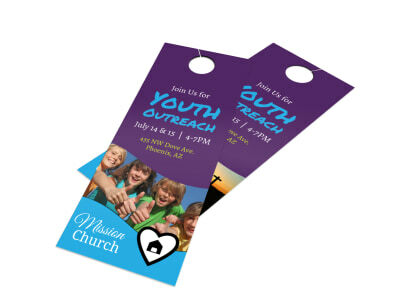 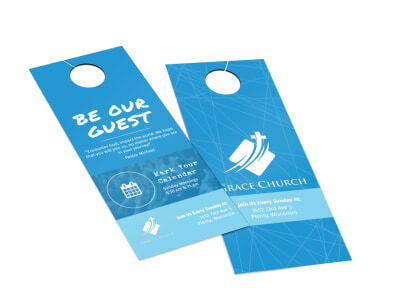 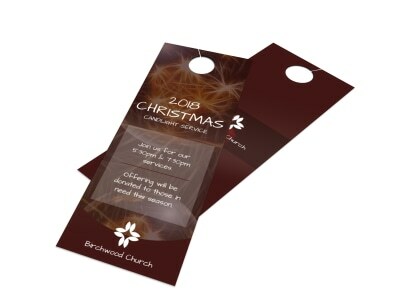 Double down on your community outreach efforts, create buzz for a fundraiser, promote an enrollment drive for vacation Bible school, or just let the community know they’re welcome to come worship with you by delivering your message via door hangers. 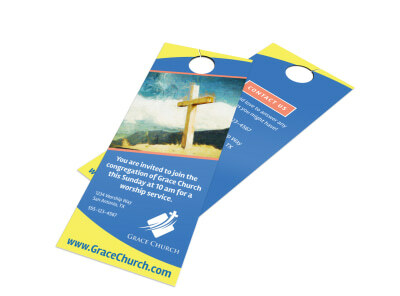 Our religion and organizations hanger templates are completely customizable using images, artwork, graphics, and more. 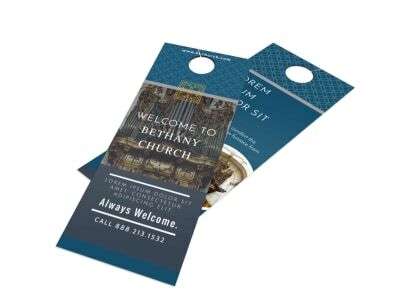 Our online editor is easy and fun to use, offering a simple point-and-click interface that puts you in complete control of your design. 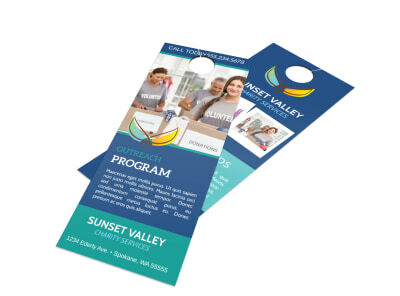 Make your customizations in minutes, and then print out your door hangers or leave the printing to us for a professional finish. 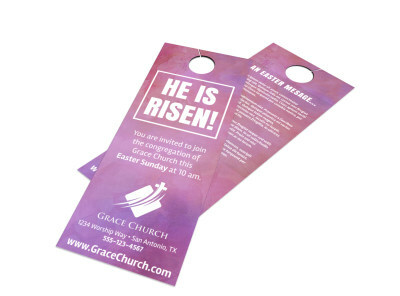 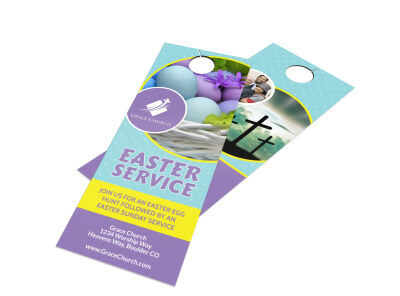 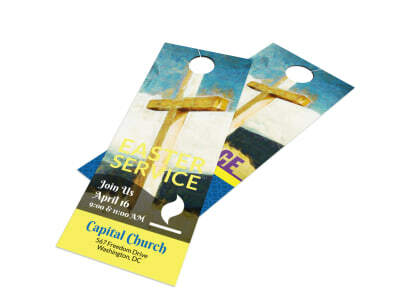 Enhance your church’s ability to connect with members of your community by customizing a wide variety of door hangers for every conceivable need – an invitation to join your fellowship for an upcoming Sunday, a call to visit for your Easter Sunday service, extending a “glad you could join us” welcome to new attendees, letting the neighborhood know about a new outreach opportunity, or simply celebrating the birth of Jesus and the true reason for the Christmas season. 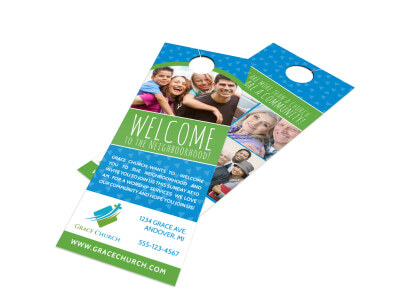 The possibilities are truly endless, and when coupled with a personal visit (or handwritten note, for those who aren’t home), door hangers can be an extraordinarily powerful marketing tool. 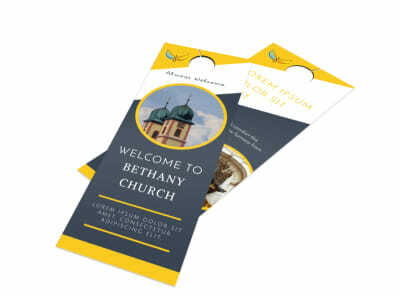 Our online editor makes it a snap to move from the idea stage to finished product – simply select your template and get started!